Water dispensed from the cold faucet comes out between 40 and 44 degrees – perfect to cool you off on a hot day or after a workout. 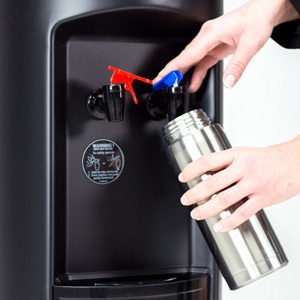 Our BottleLess Water coolers come with an adjustable cold thermostat for those of you who do not like the water as cold. 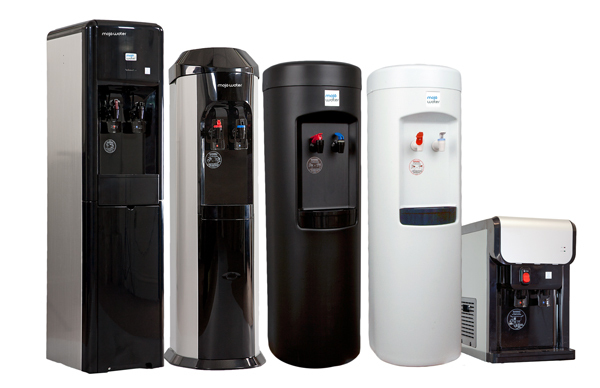 Our coolers are made for commercial capacity can provide cup after cup of cold water each hour. So, fill your sports bottles. Make your coffee with it. Drink up! 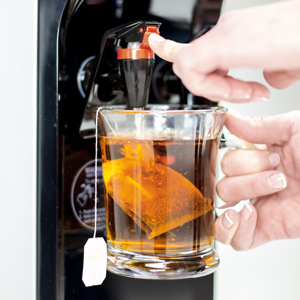 Our hot faucet dispenses steaming hot water. It is great for tea, hot chocolate, soups and instant oatmeal. The hot faucet requires a two-step action that’s easy for adults to use, but helps protect small children. The 520 watts heating element ensures precise temperature control. The cooler can provide 25 6 ounce cups of 180+ degree water per hour. The cooler comes with a hot tank on/off switch if you wish to disable the instant hot water feature. The Twist-Off Purification System is the ultimate “user friendly” filter on the market. Replacement of the cartridges is completed in a matter of seconds. You just detach the filter body from the permanent head with a twist of the wrist. The new filter cartridge is just as easily replaced by threading it into the head. Our 1-micron water filtration is independently certified for 1,200 gallons. Please visit our water purification page for more details. 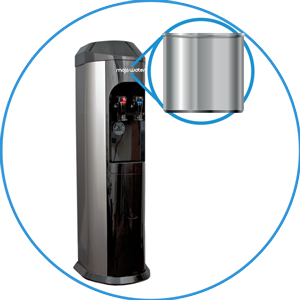 Inside BottleLess.com water coolers, there are two sealed, stainless steel reservoirs – one for cold water and another for hot water. Stainless internal components will allow your cooler to last for years. Also, stainless reservoirs make it really efficient to chill and heat your water. Plastic reservoirs can crack and affect the taste of the water. The reservoir continuously refills as you drink water. Our reservoir holds 1-gallon of cold water and is easy to clean. Our BottleLess coolers external cabinets come in two different styles – Stainless Steel sides with ABS (hard plastic) fronts or UV-protected Polypropylene. Either way, our coolers are designed to withstand heavy use. The cabinet resists cracking, fading and yellowing. The color is molded into the material to hide scrapes caused by rough usage. The shock absorbing base on all of our coolers is made of ABS plastic which will never rust. All BottleLess.com Water coolers come with a back-up safety float mechanism. If the cooler senses that there is a problem with the primary float, the back up float is tripped. This shuts down all water to the cooler. Sometimes the safety gets tripped by someone bumping the cooler. Should this happen, reset is as easy as pushing the button under the lid. Ready To Save Money, Time, the Environment, and Your Health? Of course you are! And BottleLess.com is ready to to help you make it happen.